Brexit (British exit), is a momentous event in the history of Europe as so far this is the first time a member state leaves the European Union. On 23rd of June 2016, Brexit took place and delivered a bombshell to the global market instead of just between European Union (EU) and British themselves, it resulted the U.S. stocks (Dow Jones) down for 3.4% while S&P 500 lost 3.6% and many more (you can refer to the indexes & currency on the date of Brexit). 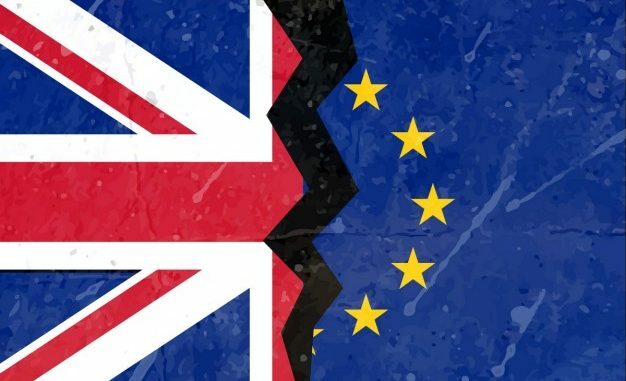 Hence, what will the relationship between UK and EU be after the divorce and upon a lengthy and difficult negotiation in regards of trade agreement, immigration and investment and hence, how does it impact to the market? The economists predicted this uncertainty will soften global economic growth this and next year. Another consequence of Brexit will be reducing trade volumes and attractiveness of the UK for investment as new regulations might arise due to new trade policy that causes traders have to go through bureaucratic red tape. As for trading, there might be new tariffs imposing on UK goods and services under a new trade deal with the EU through controlling the amount of goods and services that can be sold into Europe. For immigration, there will be new customs procedures for business travelers who often commute within Britain and EU markets. This will be troublesome to the accessibility of the bankers, accountants, corporate lawyers and investment managers into the Europe companies. Thus, it will cause the slowdown of financial services industry that contributes about 12% which is more than manufacturing and impact to the its economic growth. It may cause UK itself to situate in a political fallout condition as there is a possibility of the divorce between Scotland and England. The overall macroeconomic impact of Brexit is hard to quantify. This is because Brexit could be a wake-up call to other member states particularly that in huge debt and economic recession to leave the European Union. 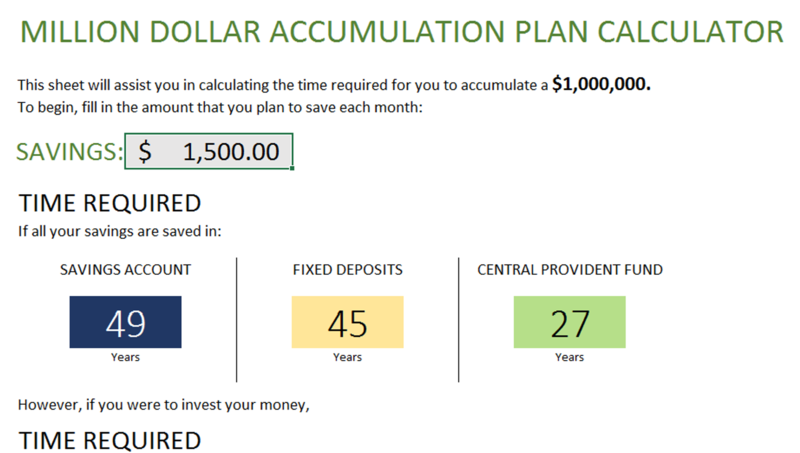 More and more investors might shift their investments into emerging markets or safer markets like US and Japan. After Brexit, it is believed that the Germany will have more political and economic supremacy in the EU. 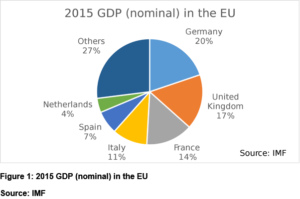 In Figure 1, you can see the pie chart of the GDP of member states of EU. 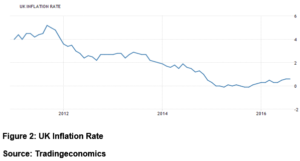 After Brexit, the Bank of England (BOE) had unveiled its measures to mitigate the impact of the EU referendum vote and aim to meet 2% inflation target (current: 0.6% as shown in Figure 2) by whatever actions have to be taken in the future on 4th of August 2016. The BOE had cut interest rates for the first time since 7 years ago to 0.25% from 0.5%. This measure is to sustain UK’s economy growth by increasing spending in households and some companies that have delayed major investment decision. Therefore, does Brexit leave a bad impact to the Asia market? 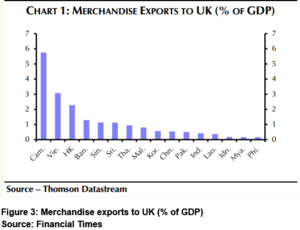 According to Thomson Datastream and Financial Times as shown in Figure 3, there would be minimal impact by Brexit towards Asia market in terms of trade as the total exports to the UK about 0.7% of regional GDP. However, there are still some Asian companies have strong link react with Britain which investors have to be cautious to avoid against your strategy planning. In my view, the consequences of Brexit will situate Europe in a bad condition given that it takes time for the process of restructuring policies in particular of trade, immigration and investment which will indirectly affect to the economy. It tells a signal of uncertainty to the investors. The worst situation will be the occurrence of domino effect when there are more member states seeking to leave EU which could cause the breakdown of EU. In long term, the downtrend in Europe stock market is tend to prolong and worsen whereas Asia stock market will resist the impact from Brexit.